Merrychef Microcook door interlock switch kit. 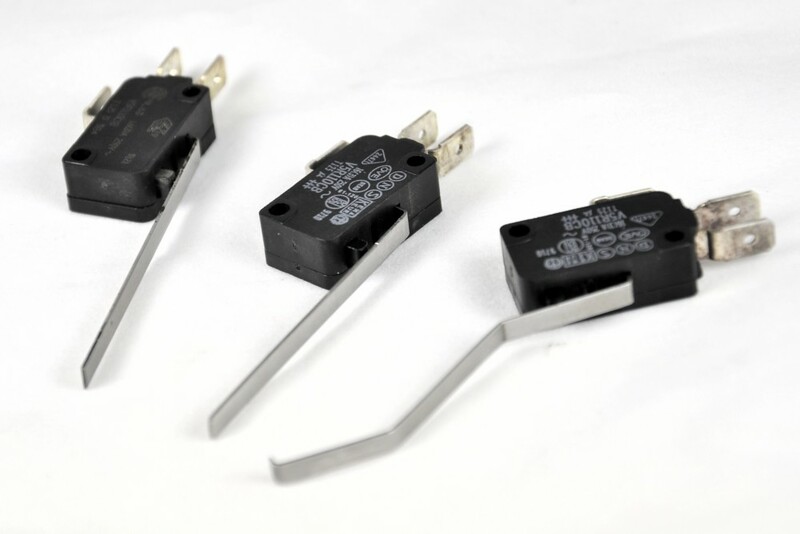 Merrychef part numbers: interlock switch 30Z1459 (was 30Z0240), and crowbar switch 30Z0356. Complete set of: primary, secondary, and crowbar (monitor or short switch) door interlock switches for Merrychef Microcook commercial microwave ovens. and 1 x MSCSS2 crowbar switch (Merrychef part number 30Z0356).